Well-qualified lessees lease a new 2019 QX50 LUXE AWD in dealer stock for $399/Month per month for 39 months. $4,399 initial payment excludes taxes, title, and license. $4,399 due at lease signing (includes down payment). Offer valid only when financed through IFS. Subject to residency restrictions. $42,195 MSRP. Net capitalized cost of $37,711 includes a $700 non-refundable acquisition fee. Dealer contribution may affect actual price set by dealer. Monthly payments total $15,561 at lease end, purchase for $23,207, plus purchase option fee up to $700 (except KS & WI), plus tax, or pay excess wear & use plus $ per mile for mileage over 10,000 miles per year. Disposition fee due at lease end. No security deposit required. Must take delivery from new dealer stock. Ends 04/30/2019. Well-qualified lessees lease a new 2019 QX80 LUXE 4WD in dealer stock for $859/Month per month for 39 months. $6,799 initial payment excludes taxes, title, and license. $6,799 due at lease signing (includes down payment). Offer valid only when financed through IFS. Subject to residency restrictions. $69,895 MSRP. Net capitalized cost of $62,106 includes a $700 non-refundable acquisition fee. Dealer contribution may affect actual price set by dealer. Monthly payments total $33,501 at lease end, purchase for $39,141, plus purchase option fee up to $700 (except KS & WI), plus tax, or pay excess wear & use plus $undefined per mile for mileage over 10,000 miles per year. Disposition fee due at lease end. No security deposit required. Must take delivery from new dealer stock. Ends 04/30/2019. Well-qualified lessees lease a new 2019 QX60 PURE AWD in dealer stock for $399/Month per month for 39 months. $5,099 initial payment excludes taxes, title, and license. $5,099 due at lease signing (includes down payment). Offer valid only when financed through IFS. Subject to residency restrictions. $47,045 MSRP. Net capitalized cost of $41,571 includes a $700 non-refundable acquisition fee. Dealer contribution may affect actual price set by dealer. Monthly payments total $15,561 at lease end, purchase for $27,286, plus purchase option fee up to $700 (except KS & WI), plus tax, or pay excess wear & use plus $ per mile for mileage over 10,000 miles per year. Disposition fee due at lease end. No security deposit required. Must take delivery from new dealer stock. Ends 04/30/2019. Amazing service, amazing team, just an great experience all around! They have took good care of me since I've been dealing with them! Hyrum Koenig is an absolute pleasure to work with! A bit straight to the point maybe, but then what's the use in burying the lede? I went through Tim Dahle INFINITI for my corporate courtesy delivery, and Hyrum made the whole process as simple as possible. Suffice it to say I look very forward to working with Tim Dahle INFINITI and Hyrum again in the future. Looking for a new or used INFINITI vehicle in Murray, UT? Your search will come to an end at Tim Dahle INFINITI. We proudly serve our Murray customers with an updated selection of new and pre-owned vehicles. Browse online and select your favorite from a range of sedans, convertibles, crossovers, SUVs, coupes, and hybrids. 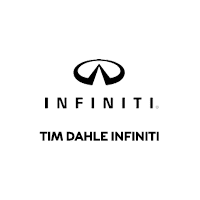 At Tim Dahle INFINITI, we believe in getting our customers the right car and the best after-sales service. We are one of the most popular dealerships around. Contact us to schedule an appointment with us today! If you have any questions about our vehicles, or their service and maintenance, feel free to contact us. Once you own an INFINITI, it is essential to properly maintain it, so that it always runs like new. Murray INFINITI owners prefer us for the maintenance of their vehicles. Your car is treated by certified technicians, and we ensure that it is back on track in no time. From routine maintenance like oil changes or brake inspections to more complex issues like collision repair, we are here to help. Call (801) 509-9167 to schedule a service appointment. We also offer a range of genuine parts at our dealership which can be ordered online or you can visit us for the same.